JOSE MOURINHO is set to wield the axe and recall Marcus Rashford for Manchester United’s Europa League clash with Feyenoord. 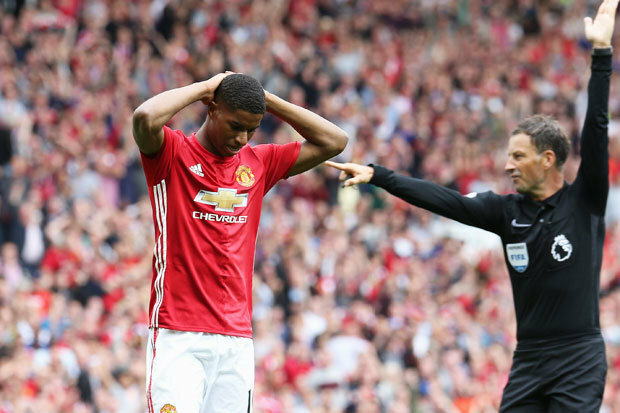 Mourinho admits he blundered badly by leaving Rashford on the bench for Saturday’s derby defeat to Manchester City. 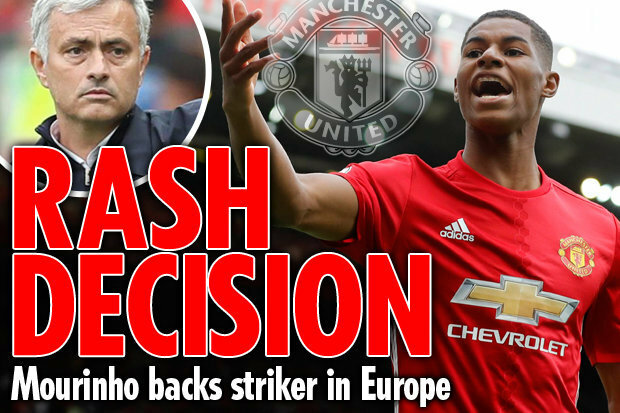 The teenage sensation was left out of Mourinho’s starting XI – despite scoring a hat-trick for Englandunder-21s against Norway in midweek.Rashford was thrown into the action in the second half and produced an impressive cameo appearance.Now Mourinho is poised to promote him to his starting line-up when United travel to Holland on Thursday to begin their European campaign. Mourinhois expected to restZlatanIbrahimovic for theFeyenoord clash and giveRashford a chance to shine in the lone striker role.Rashford has been a sensation since burstingonto the scene last season.The 18-year-old has scored nine goals in his first 21 appearances and earned a place in the England squad for this summer’s Euro 2016. Mourinho insists he has total faith in Rashford and reckons he is destined for a huge future at Old Trafford.